Vintage wedding pictures: Your style of wedding photography? Vintage wedding pictures have a retro vibe to them and the wedding pictures in your album will have a distinct feel that they were taken on film. Remember the holiday photo album that you thumbed through as a child? Often those are fond reminiscences and perhaps lots of brides are now looking for vintage wedding photography to evoke those memories of childhood. Vintage wedding photos are not the crinkled, heavy sepia toned images; they have been subtly brought up to date. The wedding dress is an example of a vintage wedding image. 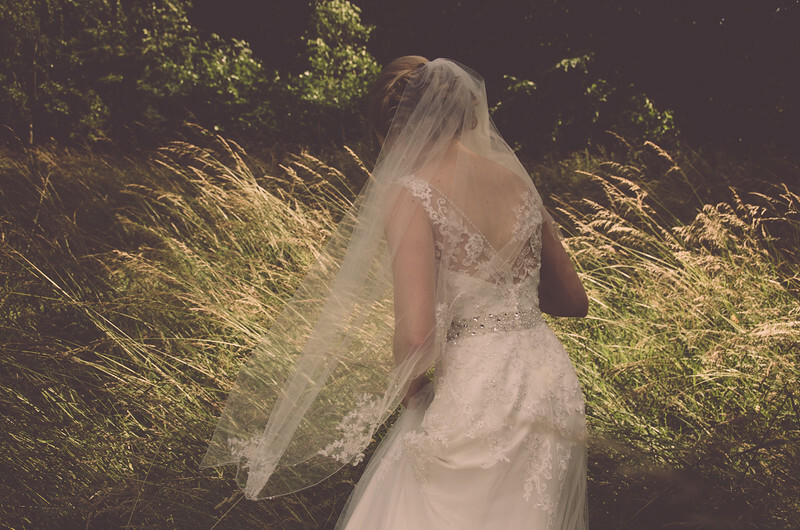 The sun drenched long grasses in the background complement the lovely lace and veil of the vintage dress. The key here is, I think, to keep the vintage feel of the image very subtle. If it is overdone, it never works so well( and this does happen, so be careful). Vintage wedding pictures are usually created after the event. Photographers spend a lot of time (sometimes 2 days !) after your wedding adjusting the colour, cropping and lots of other things to get your photos looking amazing. Processing on the Mac or PC is an art form in itself and it is a skilled business(though not as skilled as taking the images). Your photos can be given a slightly retro feel. In many ways this is perhaps a response to an era of digital photographs which can look a little bit clean, clinical and characterless if you spend a lot of time looking at them (especially on a wall). If you are someone with vinyl records, or who likes soft, smooth tones of radio voices as a background to your day, then vintage wedding pictures might just be a great thing to consider. Here are some more great examples of vintage wedding photographers Jonathan David takes images with a warm retro feel - note how subtle the warmth and the feel of the photos is. Glass Jar Photography are Sydney superstars who make vintage images that have a gentle pastel slightly washed out feel. Their signature is to add in flaws and faults to their images which look like the dust, flare and imperfections caused by shooting very old lenses on film. This does not look gimmicky because we can all remember seeing our parents photo albums riddled with these flaws so we happily accept and even feel comforted a little when we see these flaws. Believe it or not they actually shoot a lot of their images with a glass jar covering part of their lens -cool! 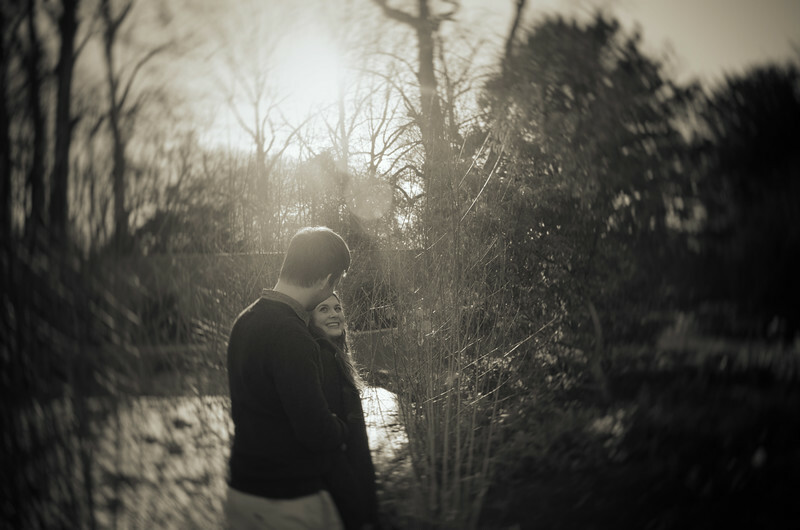 Below is an image post processed to look like it was shot through an old lens with blurry edges.